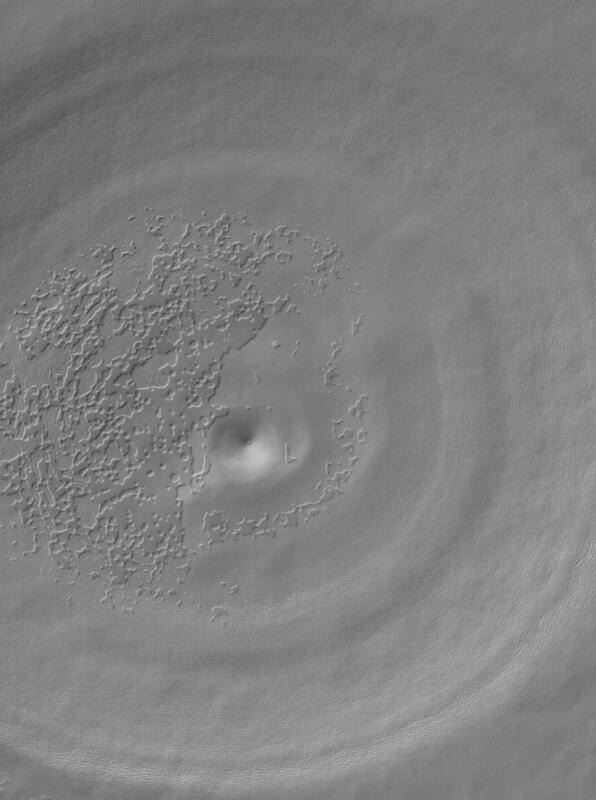 This Mars Global Surveyor (MGS) Mars Orbiter Camera (MOC) image shows a circular depression and a suite of eroding mesas of carbon dioxide. These features occur in the south polar residual cap of Mars. The eroding carbon dioxide creates landforms reminiscent of "Swiss cheese." The circular feature might indicate the location of a filled, buried impact crater.